The song definitely has a Valentine’s Day theme and the lyrics tugs right at your heart. 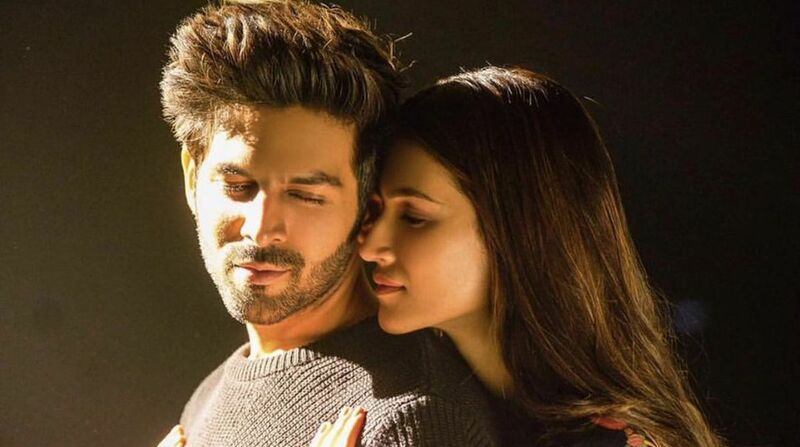 The song, Photo, from Laxman Utekar’s film Luka Chuppi featuring Kartik Aaryan and Kriti Sanon is out. The Luka Chuppi Photo song is a recreated version of Karan Shembi’s Mein Dekha Teri Photo. The song has been composed by Tanishk Bagchi and sung by Karan Sehmbi and Goldboy, with lyrics by Nirmaan. The video has a vibe of the feeling of first love and the chemistry of Kriti Sanon and Kartik Aaryan is hard to miss. The song definitely has a Valentine’s Day theme and the lyrics tugs right at your heart. Kartik Aaryan is seen romancing his lady love, Kriti Sanon. After creating curiosity among the audience with its trailer, the makers have already dropped two party songs — Poster Lagwa Do and Coca Cola. The story seems to be of a couple who want to stay in a live-in relationship before they tie the knot, and a twist in the tale lands them in a peculiar situation. Apart from Kriti Sanon and Kartik Aaryan, the film features Aparshakti Khurana, Vinay Pathak, and Pankaj Tripathi. The romantic comedy is directed by Laxman Utekar and produced by Dinesh Vijan. Luka Chuppi is slated to hit the silver screens on March 1, 2019.